One of the major challenges facing the modern world is how to care for elderly family members when they need to have support. Many people in the Miami area need to do this while also holding down full time jobs and having busy schedules. 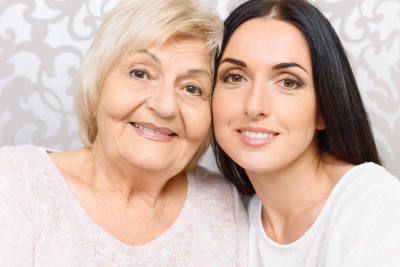 As most adults are unable to simply quit their jobs to stay home with an elderly parent, and most don’t want to send them to a home for the elderly, there are other solutions that need to be considered. This can be a very emotional issue for children and parents, and often a good solution is to hire a home care aide. Many Miami seniors can keep their independence and their own home, provided they have a caregiver helping them. The aides can work on a part-time basis for those who have health issues or injuries, and require help around the home. Even just having an aide twice per week can be a major help. For those who need more care, the caregiver can visit every day. This is very important should the elderly parent need daily medications or help with hygiene issues. Such tasks need to be supervised on a daily basis for the health of the senior (ensuring the correct amount of medication is taken, for example). This can help to relieve stress on family members who know that the elderly parent is being cared for, and receiving the assistance needed. There are many home care solutions for different situations. Many seniors need care on a temporary basis, such as when recovering from a stroke, heart attack, or an injury (such as a fall in the home). The caregiver can help to give them a positive attitude, as well as giving them some company during the day. It also really helps the senior to recover in their own home, instead of spending time in a care facility. The aide can identify and report and issues or problems that the senior may have, and alert the doctor. This type of situation can help to prevent further visits to the hospital, as well as reducing the chances of further injury. Those seniors with conditions which are not improving can benefit from home care services. If a family member is giving primary care to the family member, a home care aide can offer the caregiver relief and some time away, which is often much needed. It can be very emotionally exhausting to give care to a loved one for long periods of time. For this reason, it is important that the person is given relief at some point. There are also some tasks around the home that require more than one person, so the aide can help with these things as well. Having the peace of mind that a disabled or elderly family member is safe in their home is invaluable. It is also possible today with the home care that can be provided. Elderly individuals generally want to maintain as much independence as they can, for as long as they can. Having help from an aide or caregiver can accomplish this, while allowing other family members to maintain their employment. While these are difficult situations, they can be made easier with in-home care to meet the needs of a loved one. An excellent home care service in Miami, serving the Dade county area is Miami Home Care Services, which provides screened and certified aides to ensure that your elderly loved one is independent and safe in his or her own home.